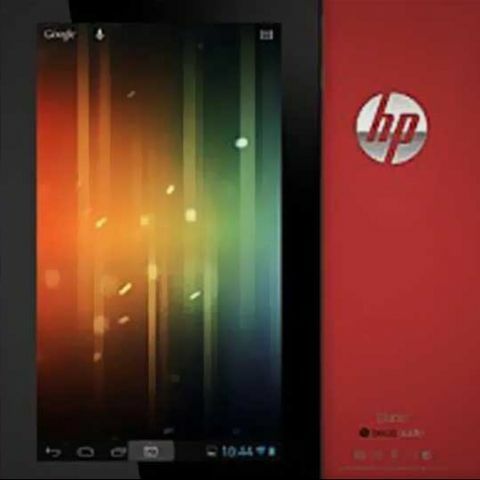 HP India will be launching a new range of tablets starting from Rs. 20,000 to Rs. 60,000 from October this year. HP India will be launching a new range of tablets in the country starting from sub-Rs.20,000 category and going up to the premium range to improve its presence in the fast growing tablet market. HP currently has only one device aimed at enterprises that currently retails around Rs.60,000 in India. The company is aiming to launch the devices in the festival season in October, but did not reveal the specifications of the devices. Rajiv Srivastava, VP and GM of the personal systems group for HP India stated there is a huge potential for growth in the tablet industry, “At the same time, the PC/notebook sales are shrinking… While tablets may be cannibalising some sales, they are complementing PC usage.” He added that the company may be late to the market which has already been dominated by the likes of Apple and Samsung, HP is looking at catering to both the consumer and the enterprise segment. Is Flipkart planning to launch its own range of tablets? HP has gained its leadership back in India with a 34.1% market share in the June quarter of this year. The sales have driven up for the company primarily due to the recent deal in Uttar Pradesh to supply 15 lakh laptops. According to a recent IDC report, HP India is the number one vendor of PC and printers. HP's overall PC shipments for the current second quarter have also increased by 24% against the same period last year at 3.53 million units. The company is also planning to launch at least 15 new products each in printers and PC categories in the coming year. Any other laptop better than HP 15-r022TX Notebook in the range of 40000-43000Rs range? Best smart phones in the range of 4k to 6k.